Do You Need a Gun Belt? Is a Gun Belt Necessary? With inside and outside the waistband holster, a good gun belt makes a huge difference. In addition with more compact holsters that hook inside the waistline of a pair of trousers, a true gun belt made of sturdy material is highly recommended. 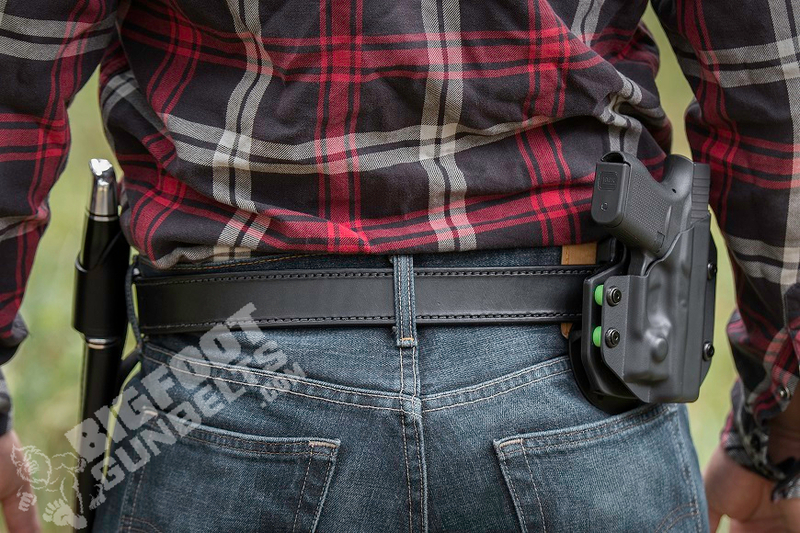 At the minimum, a quality gun belt will provide support to ensure that your pants don't sag while you're carrying a concealed firearm. But what constitutes a gun belt? A great leather gun belt will last you a lifetime. Leather gun belts should be thicker than your normal dress belt. The thicker leather helps keep the belt truer to form and provide good reinforcing support for your firearm along the waistline. A consideration when getting a leather gun belt is to always go at least two sizes bigger than your waistline. If you have a 32” waistline, you're going to want a leather gun belt that is at least 36” so it can comfortably fit your inside the waistband holster. We created a Belt Sizing Chart that will tell you what belt size you need. A good canvas web gun belt will last quite a long time. They can be cut down or adjusted. The only downside is if they ever begin to fray – it's time to get a new one soon. You can torch off a few loose threads with a lighter. When large swaths of the belt begin to degrade, it's over. These are common for the wider (1.25”) tactical gun belts worn by most military members for their camouflage utilities. Extremely durable, they're good at providing uniform pressure along the waistline – perfect for an inside the waistband holster. A hybrid composition gun belt is made from a combination of different materials – like reinforced web canvas leather. If properly built, such a belt can last a lifetime. Strict priority needs to be given to well stitched leather laminate. If the belt is composed of multiple layers, ensure the maker both tacked and stitches the belt throughout those layers so they can't separate. How does nylon gun belt compare to a leather gun belt? Nylon belts are usually cheaper than leather gun belts. Cheaper doesn't mean any less effective, though. 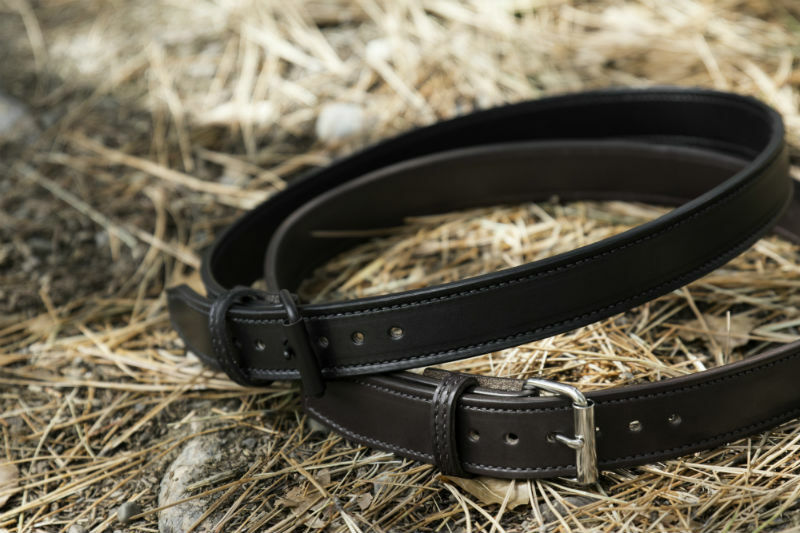 A good woven nylon gun belt will arguably last just as long as a leather one. A thick, wide leather belt will slowly adjust to your body type. A cheaper gun belt of thinner material will warp and stretch faster. Whereas with nylon, it will hold it's form for some time before deforming to your body shape. What's the best width for a gun belt? Typically, the width of a gun belt is really left in the discretion of the person's own preferences. Traditionally, thicker duty belts made out of reinforced canvas, nylon, or leather are 2” and up in width. For gun belts that are meant to be worn inside belt loops of most trousers, generally 1.5” and 1.25” is recommended. Once you fall below 1”, there are issues with keeping the belt level when an inside the waistband concealed carry holster is placed inside the waistline. Do you have a particular style of gun belt you like to wear when you are carrying a concealed firearm? Tell us about it in the comments section! James England (@count_england) is the contributing editor for BigFoot Gun Belts. He is a veteran of Operation Iraqi Freedom and private defense contracting in Afghanistan for L-3 Communications. He presently lives in New Hampshire where he advocates for veterans issues through the Veterans of Foreign Wars.